I spent an enjoyable couple of hours at the Benromach Distillery, which is the smallest Speyside Distillery and owned by Gordon & MacPhail, who are based in nearby Elgin. Bringing the distillery back to life has proven to be a wise move and although most of the internal workings of the whisky process herald from the revamp, it retains its original character. 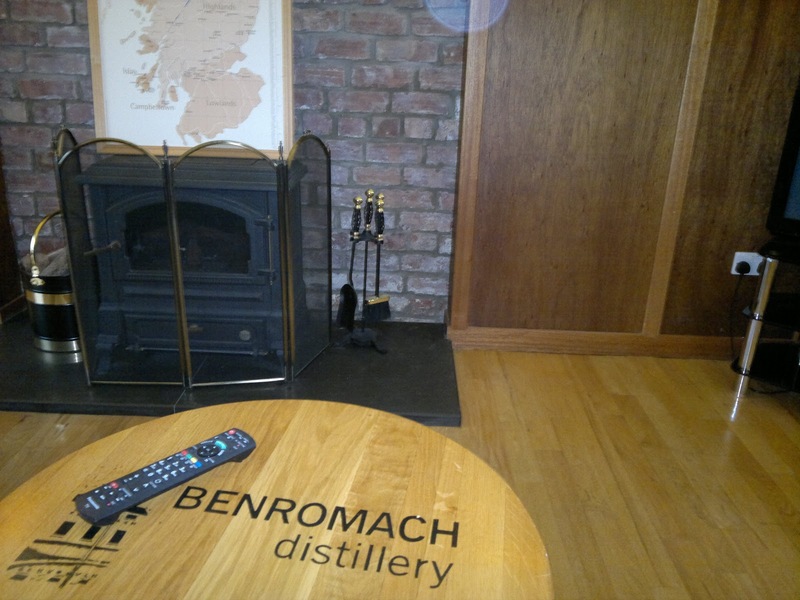 The basic tour costs only £5 and allows you to visit all the major areas, and our tour guide Sandy was very knowledgeable not only of Benromach, but whisky in general. A knack for putting the mysterious whisky process into context with everyday examples helped the members of our group who were new to distilling. Benromach being independently owned lacks many of the props and features that often populate these visits when you visit a distillery owned by a major corporation. The museum room offered hands on examples of traditional methods, the casks themselves and the duty paid barrel is located here, as there is an tour option to pour your own bottle. That's around £60 and there's also a personal manager tour available for the ultimate experience. A couple of things struck me about the tour, firstly that every part of the process is done within one small building. Whereas other tours I've been on, you can spend more time walking to each area, so this was welcome. Also its a tiny distillery so there is only one or two staff to keep things turning around, there's only 1 shift per day so when we visited in the afternoon, the work was done. 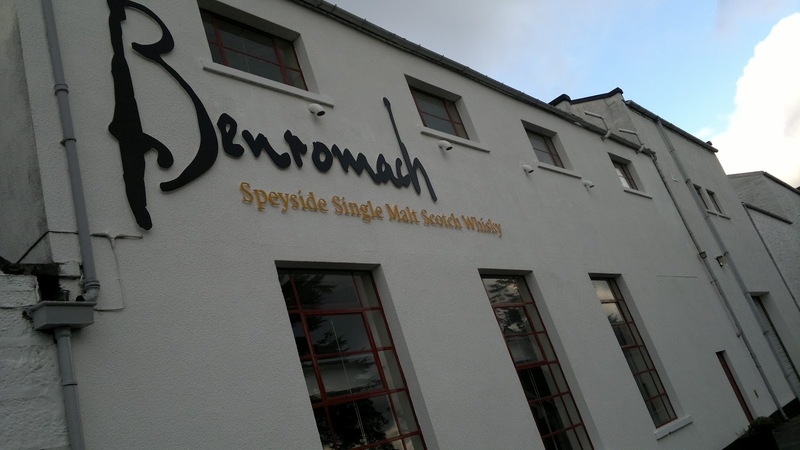 So if you want to see a working distillery that's lively and working when you visit, the morning would be a better bet for Benromach. Almost all of the casks are aged on the grounds, which is unusual nowadays in the event of a fire this would result in a disaster. 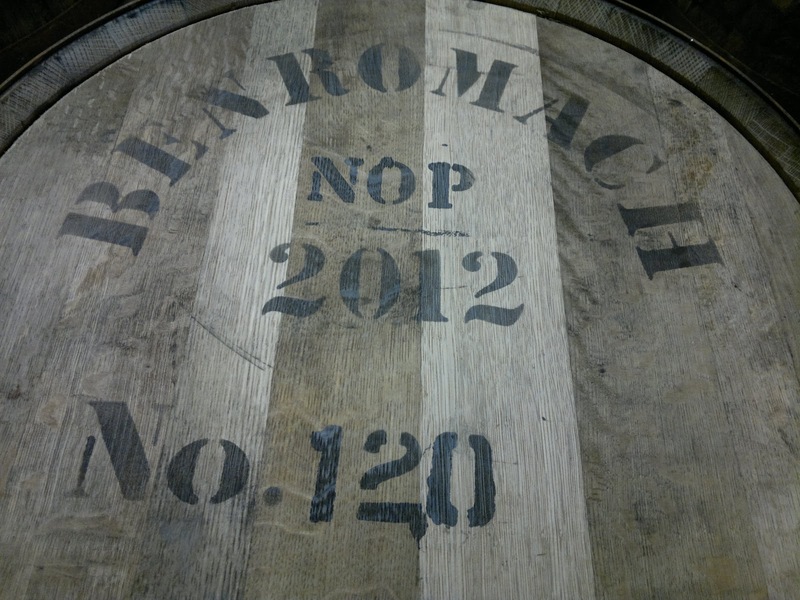 The distillery like Glenmorangie has been experimenting with different types of casks to finish and also when they introduce these into the process, including a burgundy cask. 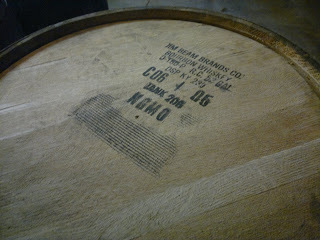 Their organic bottling uses brand new oak casks and whilst in the cask area, Jim Beam bourbon casks were waiting to be utilised. Also on show is the first cask from 1998 which has been signed by Prince Charles and is waiting for something... I'm sure it will make an expensive release whenever plans are formatted. Their 30 year old malt is the one to purchase if cost is no option, it has been well reviewed and costs a very reasonable £149, and your tour ticket offers a discount on most bottles. The standard 10 year old is very drinkable but I was actually taken by their peaty finish release at £35 and the cask strength malt at 59.5% at £40, which packs a punch but is remarkably drinkable for such a strong malt. And this is the one I purchased, for now. I'm still interested in the Peaty finish edition which is unusual in a Speyside malt, in total there were only 879 casks laid down during 2011, so this is a small but perfectly formed distillery. As ever all my photographs of the distillery are available here to view.